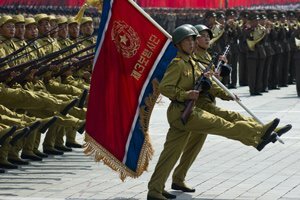 Can the Dow Jones Today Recover from North Korea's Threats? Subject: Can the Dow Jones Today Recover from North Korea's Threats? + nine = 14 Required Please enter the correct value. The Dow fell more than 50 points yesterday thanks to more saber rattling from North Korea. The North Korean foreign minister said the country is considering shooting down U.S. military jets that fly near its airspace. The Dow has recovered from earlier threats from North Korea, but rising tensions could raise volatility. The Trump administration disputed North Korea's interpretations of U.S. President Donald Trump's latest tweets. President Trump suggested the United States could wipe the reclusive nation out of existence. Investors have been turning to safe-haven assets like gold, silver, and even cryptocurrencies. A possible military conflict has the potential to rattle markets, increasing their volatility. Pay close attention to the CBOE Volatility Index (VIX), which hit a two-week high on Monday. A busy day of earnings reports will complement a round of speeches by several members of the U.S. Federal Reserve. The speaking schedule will culminate with Fed Chair Janet Yellen with her keynote speech at an economics conference in Cleveland. Yellen is expected to talk about the impact of globalization and technology on the international economy. The healthcare sector is in focus after the Congressional Budget Office released an eye-popping report on the economic and social impact of the Graham-Cassidy bill. The CBO says that the bill that would repeal and replace the Affordable Care Act would slash U.S. deficits by about $133 billion. However, the report estimated that more than 20 million Americans could lose their health insurance as a result of the plan. That report may have been for nothing. Last night, Maine Sen. Susan Collins (R-ME) said that she will not support the reform bill. That will likely doom the bill's passage through the Senate. Markets are also losing confidence that the Trump administration will be able to get tax reform done in 2017. But the real story that seems to have escaped the mainstream press is the devastation of Puerto Rico and the U.S. Virgin Islands. Hurricane Maria knocked out the power on Puerto Rico, and U.S. officials are traveling to the region to assess the damage. Florida Sen. Marco Rubio (R-FL) said that the potential for a serious crisis exists if they do not get power restored very soon. Crude oil prices are near two-year highs as tensions in the Middle East threaten the oil supply. Turkish President Recep Tayyip Erdogan has threatened to shut down a critical pipeline that transports crude from the Kurdish region of northern Iraq. The WTI crude oil price today dipped 0.5%. Brent crude fell 1.0%. 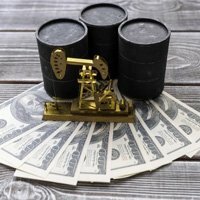 Despite the dip, prices have been rebounding since last week, when OPEC officials met and forecasted a rebalancing of the global markets. Shares of Apple Inc. (Nasdaq: AAPL) fell 3.5% yesterday. Part of the reason for the sell-off was news that the company had alerted its suppliers to cut back on parts shipments for its iPhone X. Shares have recovered in premarket hours, adding about 0.8% before the bell. Shares of Darden Restaurants Inc. (NYSE: DRI) were off more than 3.5% after the firm reported earnings before the bell. The restaurant giant reported fiscal first quarter 2018 earnings of $0.99 per share on top of $1.936 in revenue. Wall Street had expected an earnings per share (EPS) of $0.98 on top of $1.929 billion. While the firm topped expectations, the stock fell on news that same-store sales came in weaker than Wall Street expected. Nike Inc. (NYSE: NKE) will also report earnings after the bell. The company has been in the headlines this week after it expressed support for athletes who kneeled in protest during the national anthem at NFL games across the country. Wall Street anticipates that the athletic apparel and shoe manufacturer will report EPS of $0.48 on top of $9.065 billion in revenue. Tuesday will feature a long list of earnings reports. Keep an eye out for updates from Micron Technology Inc. (Nasdaq: MU), Carnival Corp. (NYSE: CCL), FactSet Research Systems Inc. (NYSE: FDS), Cintas Corp. (Nasdaq: CTAS), IHS Markit Ltd. (Nasdaq: INFO), and Landec Corp. (Nasdaq: LNDC). S&P Corelogic Case-Shiller HPI at 9 a.m.
Chicago Federal Reserve Bank Charles Evans speaks at 9:30 a.m.
Cleveland Federal Reserve Bank President Loretta Mester speaks at 9:30 a.m.
Consumer Confidence at 10 a.m.
State Street Investor Confidence Index at 10 a.m.
Federal Reserve Governor Lael Brainard Speaks at 10:30 a.m.
Atlanta Federal Reserve Bank President Raphael Bostic speaks at 12:30 p.m. Urgent: More than 50% of Americans age 35 to 54 have less than $10,000 saved for retirement. If that's you – or if you're still not on track to retire by 60 – you can't afford to miss this brand-new report. Get it here now. Lacks any indication of the ultimate direction as related to the comments.